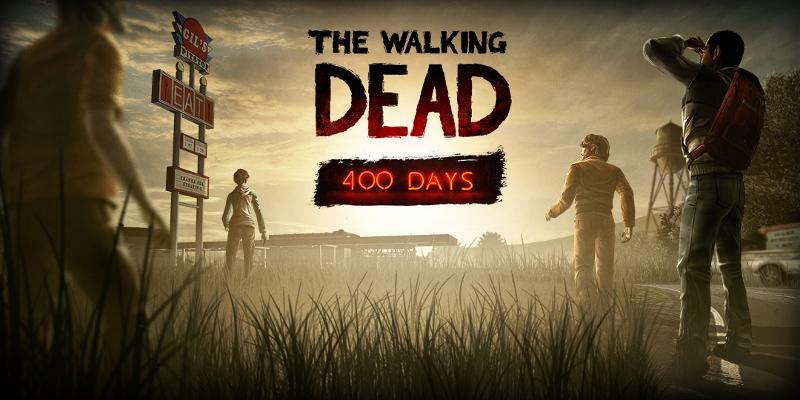 The Walking Dead: 400 Days is the highly-anticipated DLC that bridges the first season of the game with the upcoming season two. You can read my review of the conclusion, No Time Left, here. I played 400 Days on my Xbox – if you play it on a platform other than what you played the first season on, it will not cull from your choices in season one. You can play the stories of everyone except Tavia (who has to be last) in any order. There is a “correct,” chronological order, which I’ve listed above, but I ended up playing in this order: Vince, Shel, Bonnie, Wyatt, and Russell. Each story starts and ends abruptly – making it difficult to put the controller down (you will finish the entire DLC in one sitting). You play each survivor’s story for about fifteen to twenty minutes; it took me a little less than two hours to complete the game. 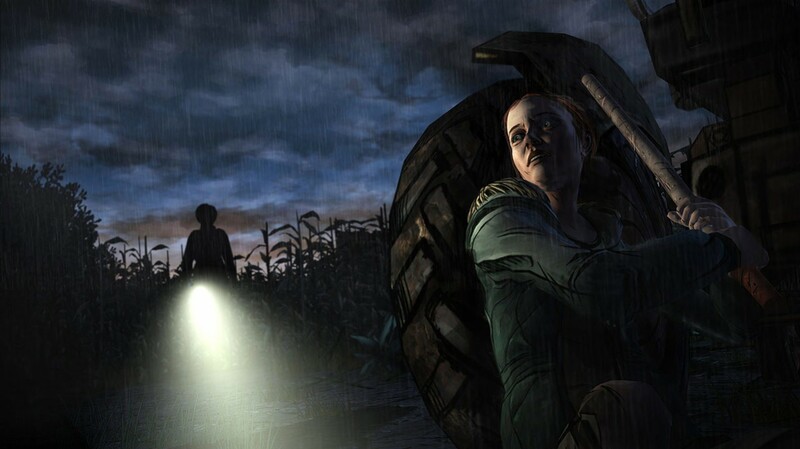 Gameplay is largely the same as in season one, but with a few added mechanics here and there (such as running through a dark cornfield from pursuers and holding the A button while moving the left stick in order to pull things). As always, Telltale is going to force you to make tough decisions, and I wasn’t disappointed with how indecisive I was. There has never been a clear moral choice in this series; anything can be argued. There seemed to be more times in the DLC than in the main game where I had time to think about my choice instead of the clock running down quickly, especially with a big/main choice, but there is a time limit to most normal dialogue selections. The choices you make during the five main stories will affect the outcome of your epilogue. A promise I made to myself was that I would live with the choices I made in this series instead of going back and manipulating for the best possible outcome (at least, according to my own sense of it); I look forward to seeing how the decisions I made in 400 Days will affect my game when season two is released. There are not a lot of callbacks to season one (only two that I noticed), but the five tales of the survivors interweave in sometimes very subtle ways. I will probably end up playing again on a different save file to see what making the opposite choices would have looked like. There are eight achievements, two of which are missable (a first for the series). One in particular is a little frustrating, as it is completely random and you have to keep replaying a good chunk in order to try again – and with this game, it ruins immersion to keep quitting out and trying again. I wish they had kept the achievements strictly story-related; in a game like this, I think that is most appropriate. There is foreshadowing for season two, which I think, if I am guessing correctly, will push the game more toward the themes that the television show has been exploring in its latest season. Note on graphics and sound: There is nothing more to note here than in the main game – same gorgeous art style, same atmospheric sound and music. Voice acting is excellent all around. The Walking Dead: 400 Days left me wanting more. I wished we could have gotten more information and backstory on all of the characters, because my curiosity was piqued so much, but hopefully we will learn more about them in season two. Do not hesitate to get this game if you loved season one (it’s worth the $5), but don’t expect it to be as deeply affecting as that game was. Is it October yet? 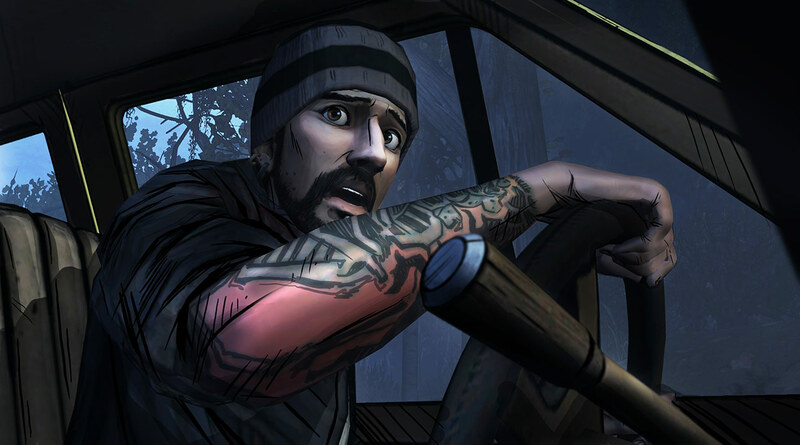 You can get The Walking Dead: 400 Days for PSN, PC, and Xbox 360 right now. Players who have season one on iOS need to wait a little longer – July 11th. The DLC will also be released along with the entire first season on the Vita sometime in August. You need to have at least one episode of The Walking Dead in order to purchase 400 Days. I would highly recommend playing the season before playing the DLC. It costs $4.99 or 400 MSP. Check out the official site, like Telltale and The Walking Dead game on Facebook, and follow Telltale Games on Twitter. Also, once 400 Days releases for Benny, she and I will be doing another podcast on the game. Stay tuned for details! You can listen to our speculative podcast on 400 Days here. If you want to discuss your choices with me, feel free to do so in the comments!